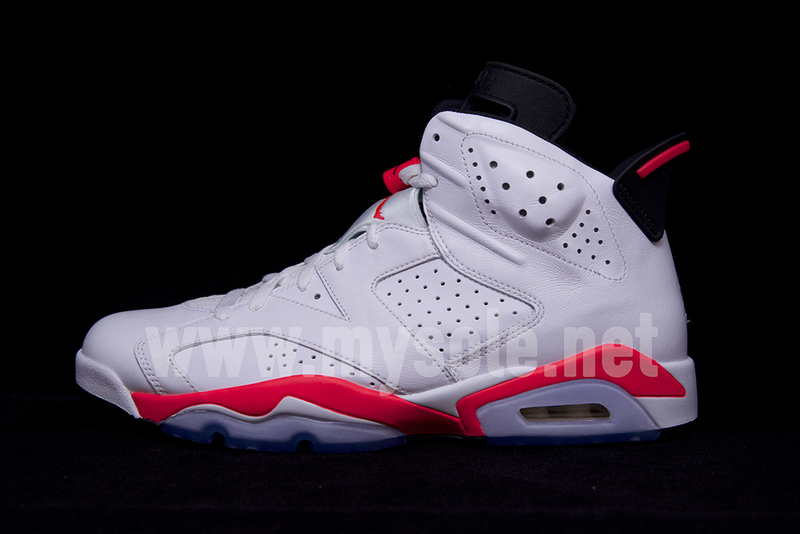 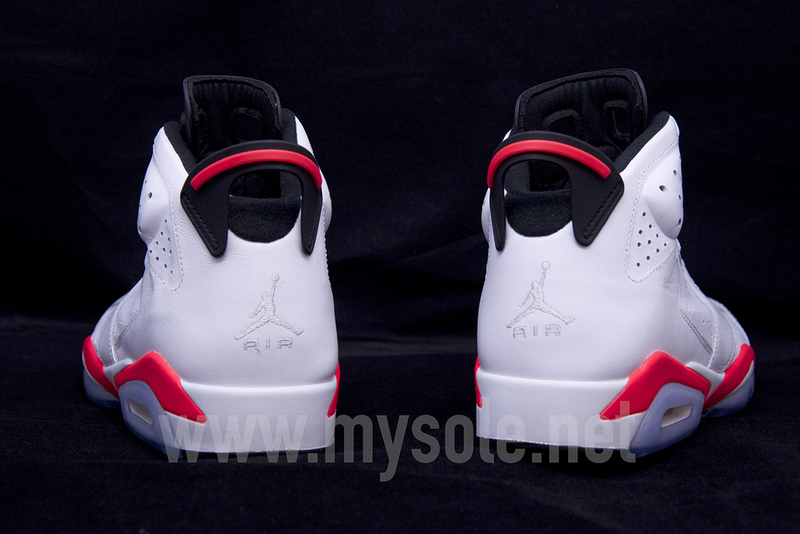 Next year's release of the White/Infrared Air Jordan 6 Retro is previewed today in full detail. 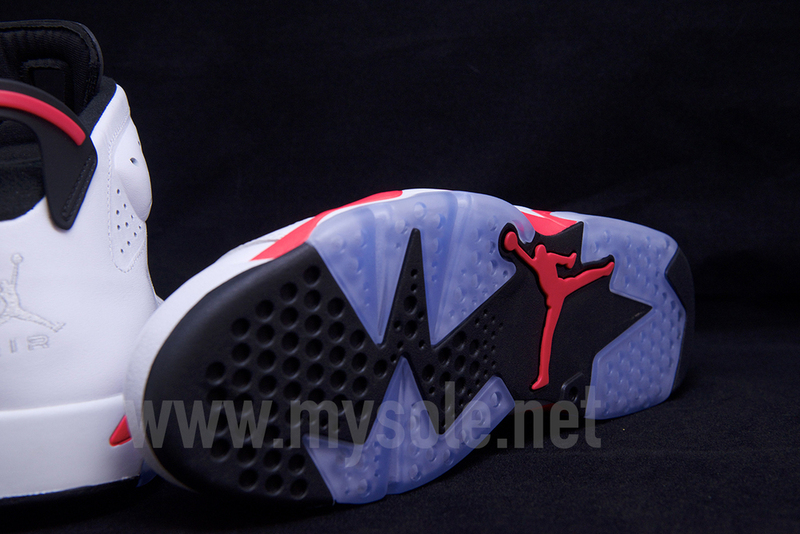 Originally introduced back in 1991, the classic Air Jordan VI arrives with a full leather build, subtle perforations throughout, a one of a kind tongue and classic lacelocks to finish them off. 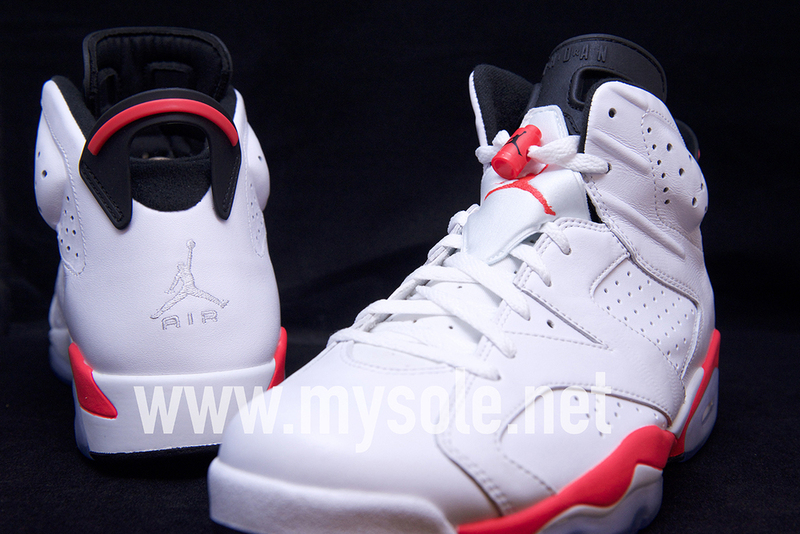 Infrared adds some pop over the tongue Jumpman, lacelocks and midsole below, finishing off one of the most iconic Air Jordan styles of all time. 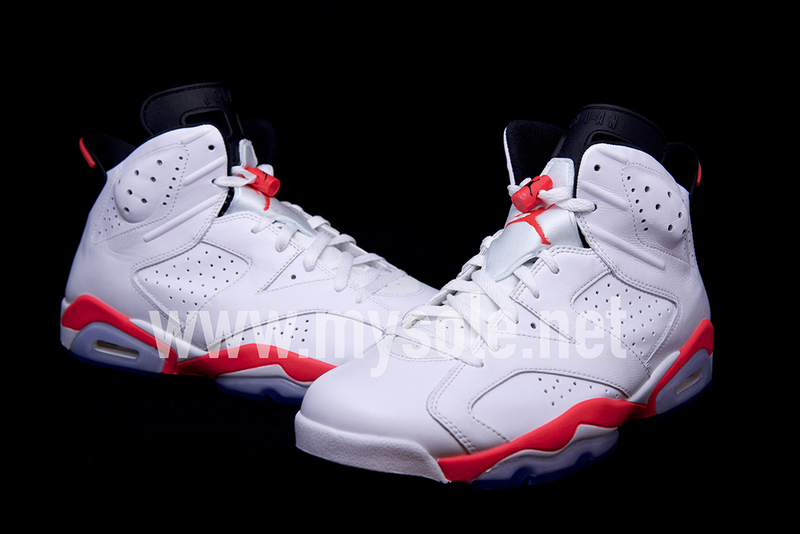 The White/Infrared Air Jordan 6 Retro is set to release February 15th at select Jordan Brand accounts nationwide.